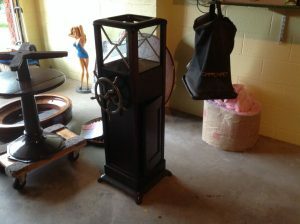 Antique movie theater/amusement park ticket shredder in as found condition. 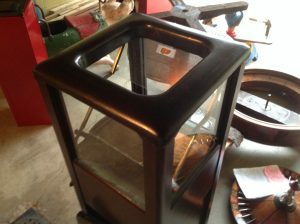 Restored with wheel and grinder. 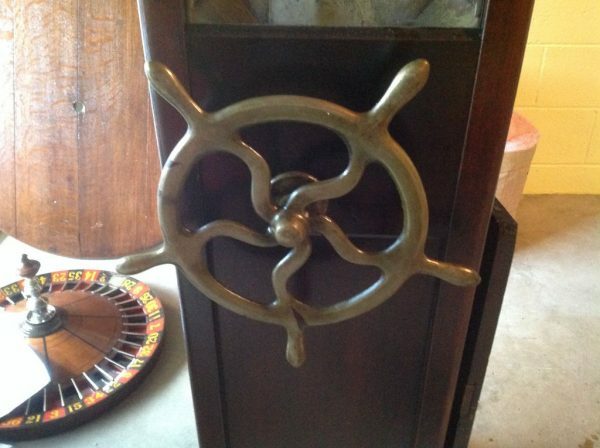 Missing a makers medallion on one side, otherwise in very nice shape for displaying….